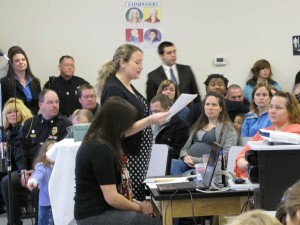 Thank you for your recent application with Charter Day School. 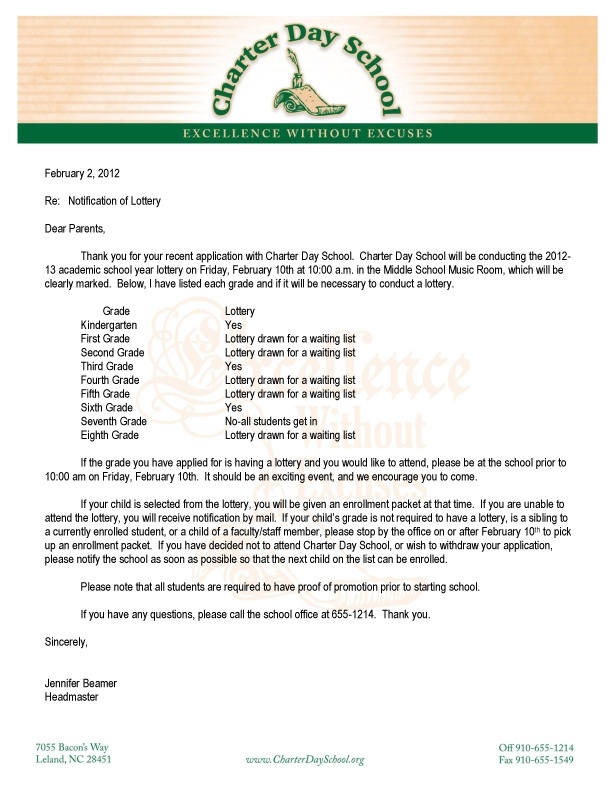 Charter Day School will be conducting the 2012-13 academic school year lottery on Friday, February 10th at 10:00 a.m. in the Middle School Music Room, which will be clearly marked. Below, I have listed each grade and if it will be necessary to conduct a lottery. If the grade you have applied for is having a lottery and you would like to attend, please be at the school prior to 10:00 am on Friday, February 10th. It should be an exciting event, and we encourage you to come. If your child is selected from the lottery, you will be given an enrollment packet at that time. If you are unable to attend the lottery, you will receive notification by mail. If your child’s grade is not required to have a lottery, is a sibling to a currently enrolled student, or a child of a faculty/staff member, please stop by the office on or after February 10th to pick up an enrollment packet. If you have decided not to attend Charter Day School, or wish to withdraw your application, please notify the school as soon as possible so that the next child on the list can be enrolled. Please note that all students are required to have proof of promotion prior to starting school. If you have any questions, please call the school office at 655-1214. Thank you.